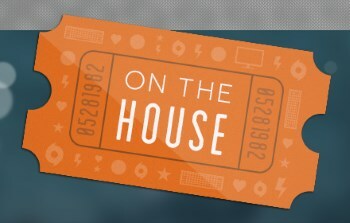 Origin's new "On the House" program offers full games for free, forever, just for being you. You may have noticed that Dead Space is currently free on Origin, and you may also have wondered why. Now, after a bit of a delay, we have the answer: It's "On the House." "There's no catch," EA explained on the newly-revealed On the House page on Origin. "Grab full games, expansions and more at absolutely no cost. Just make sure to act fast because On the House specials can appear and disappear at any time." These are full games, not demos or trials, and once claimed they'll stay attached to your account forever. And why? "We're gamers, too," the site says. "We appreciate you making Origin your gaming home... and besides, who doesn't like free stuff?" Dead Space is an older game, sure, but it's still awfully good and this is a great excuse to give it a go if you missed on the original release. (Which was more than five years ago, by the way, so it's perfectly possible.) And yes, all that "we're gamers too" business notwithstanding, this is clearly just an attempt to attract attention and bulk up the Origin user base, but so what? The net result is a free copy of Dead Space and that's alright by me. Dead Space will remain free on Origin until May 8.